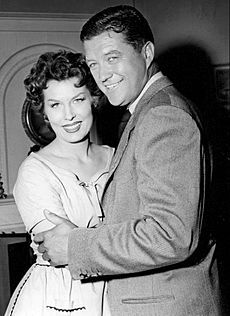 Dennis Morgan (December 30, 1909 – September 7, 1994) was an American actor and singer. He played Jefferson in Christmas in Connecticut. He played Paul Hudson in The Desert Song. Morgan was born Stanley Morner in Prentice, Wisconsin, on December 30, 1909. He died in Fresno, California of respiratory failure on September 7, 1994. 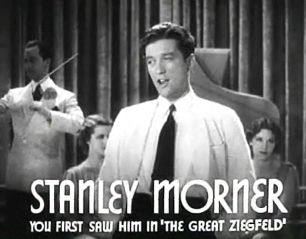 Morgan (billed as "Stanley Morner") appeared as the singing bridegroom in the famous "Wedding Cake" musical number in The Great Ziegfeld (1936), but the voice singing "A Pretty Girl Is Like a Melody" was that of MGM contract player Allan Jones. Dennis Morgan Facts for Kids. Kiddle Encyclopedia.